Potty Time is the newest product line from Two Little Hands, the makers of the award-winning Signing Time program, currently being aired on public television stations and Nick, Jr.
Potty Time is a playful and positive approach to potty training for children ages 1-5 with music and videos featuring Emmy-nominated host, Rachel Coleman. 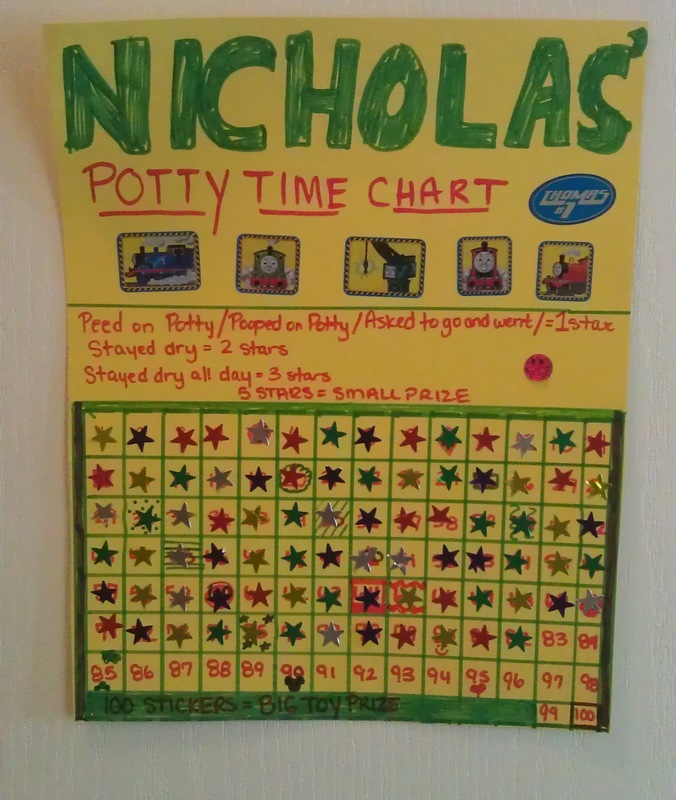 Potty Time teaches the potty routine along with signs that children of any age can use to talk about growing up, using the potty, and celebrating successes of all kinds. 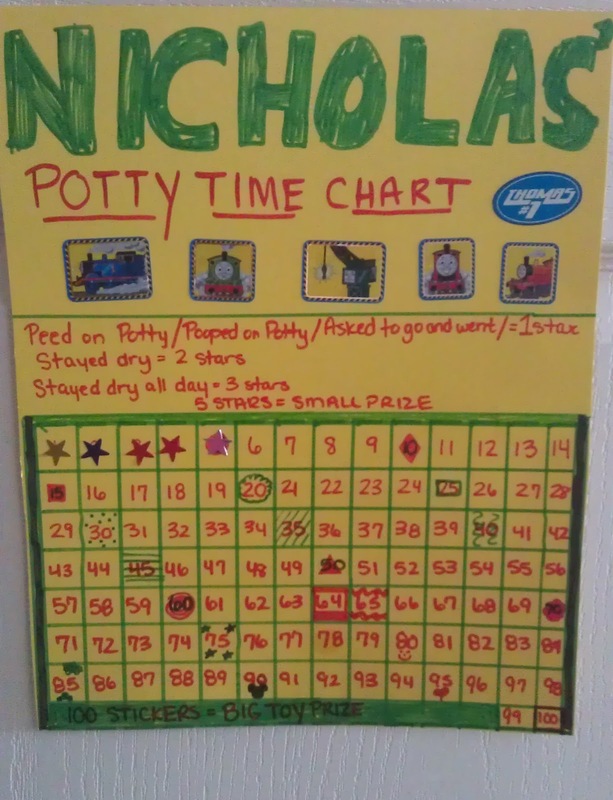 Signs are especially useful for potty training infants and toddlers. 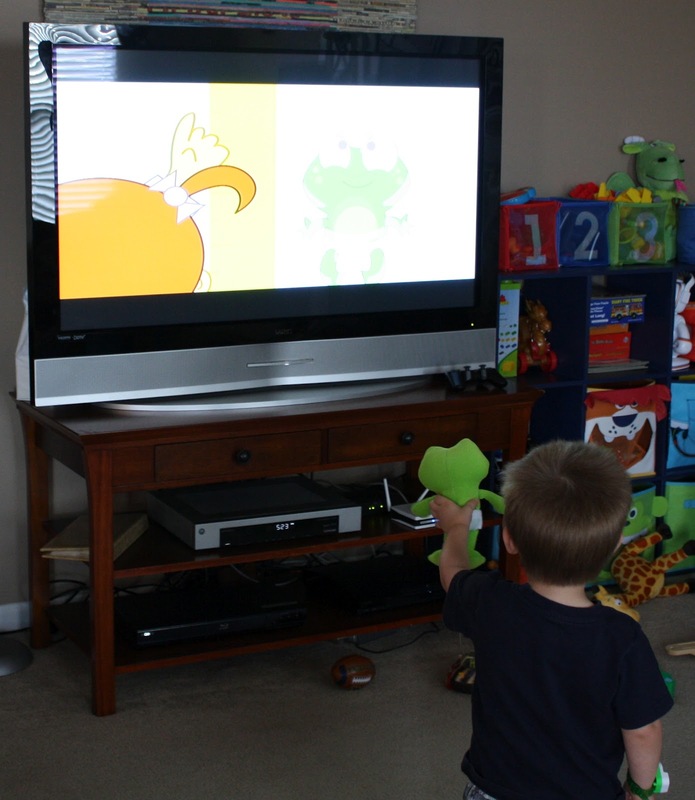 The Potty Time DVD shows music videos with real people and animated characters that help children feel good about growing up and trying something new - using the potty! Hosted by Emmy-nominated Rachel Coleman. 30 minutes, includes special features. The Potty Time CD features 9 original songs, with a sing-along track for each! These playful and positive songs help children feel good about their bodies and celebrate successes of any kind. songs in the “play” mode. Pediatrician recommended. 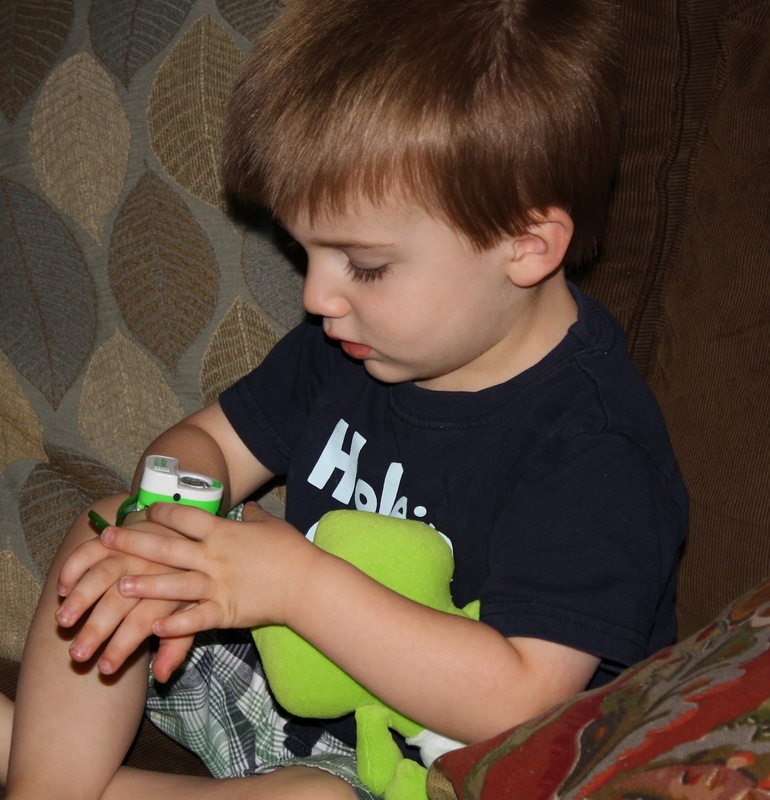 When we found out we were offered the opportunity to review a product from Two Little Hands, we couldn't wait! We have a huge library of their DVDs/CD's from which,our son has learned over 50 signs. At the age of 9 months, he was able to tell us when he wanted milk, to eat, and was all done, thanks to Baby Signing Time. 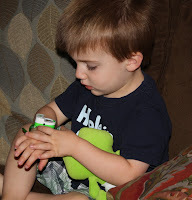 The timing of this product review was perfect, as we were just diving into the challenging, yet rewarding world of potty training with our son (2 years, 9 months). The package we received contained the Potty Time DVD, Music CD, Reminder Watch, and a Hopkins stuffed animal. 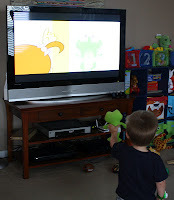 Immediately my son recognized the Hopkins from the many signing time DVDs we already own and watch and was super excited! After he had Hopkins, I showed him the watch and he couldn't wait for me to open it and set it. After opening the watch, I used the "Play" demo mode to show him that it plays music when it's time to go potty and he was very excited. Since it had been an hour since he had last gone, I only set it for 30 minutes (I changed and kept it to 90 minutes after this initial set). I figured this was long enough to watch the Potty Time video and then it would go off. 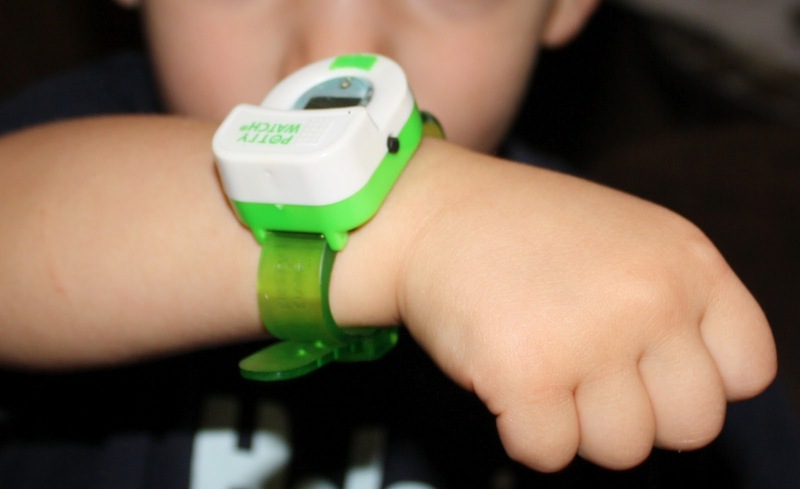 The watch is good quality (very solid) and in the very fun and appealing (to a toddler) shape of a potty. The only thing that I would like to see is that the wristband were slightly more flexible, but it must be comfortable, because he kept it on without a single complaint and he is really sensitive to different textures. For the next week, he wore that watch everywhere, including grandma and grandpa's house where he just kept showing it off to everyone. He was so proud that it played music when it was time to go potty. 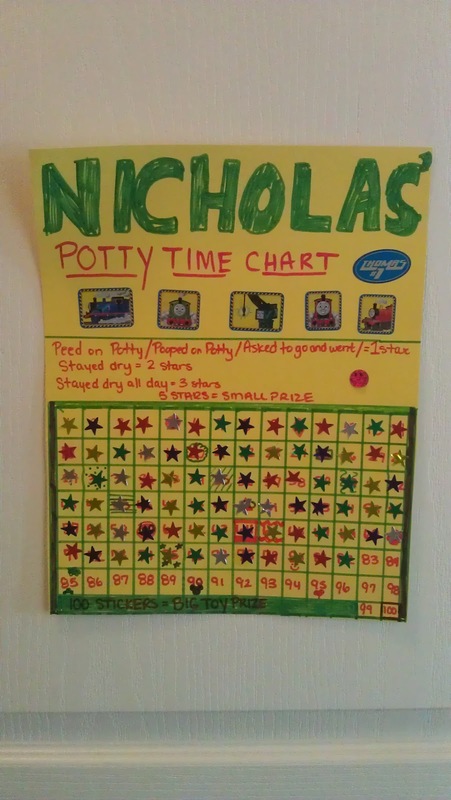 As for my husband and I, we have found that throughout the day, we often forget how long it has been since he went potty, so the watch is definitely extremely helpful as a reminder for him AND us. Every time it goes off, he gets very excited and runs for the potty! Watching his new potty watch! As I stated earlier, we watched the video immediately and within the first few minutes, our son was already picking up the signs. He was so excited every time he saw someone in the video with the watch on, so that made him feel really special about having one too. As with all of the Baby Signing/Signing Time products, the songs are easy to learn and easy on the ears! The DVD is the perfect length of time for a toddler and even our daughter who is 9 months old enjoyed watching it. Showing Hopkins that he's on the TV! Later in the day, we listened to the music CD, and loved that as well. We keep our collection of Baby Signing Time CD's in the car, so this was a great addition to the collection. My son loves having a new set of songs to learn the signs to. 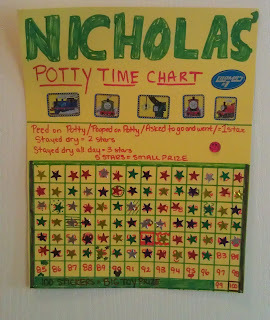 Overall, the Potty Time package met and exceeded our expectations: A reliable, fun, educational, high-quality product from one of our favorite companies. 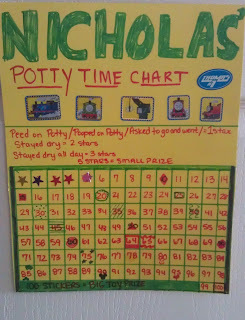 We highly recommend it for potty training little ones! Here is the fun part! 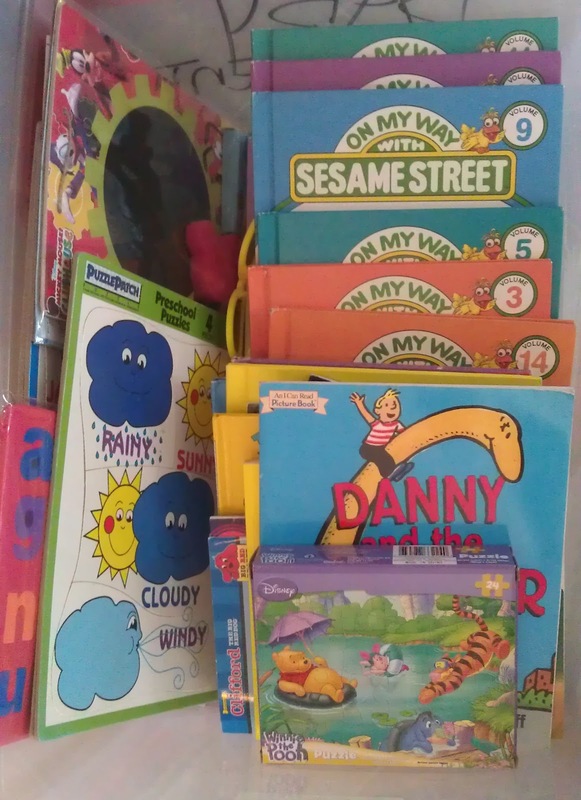 Two Little Hands is generously providing a giveaway to one of my lucky readers. 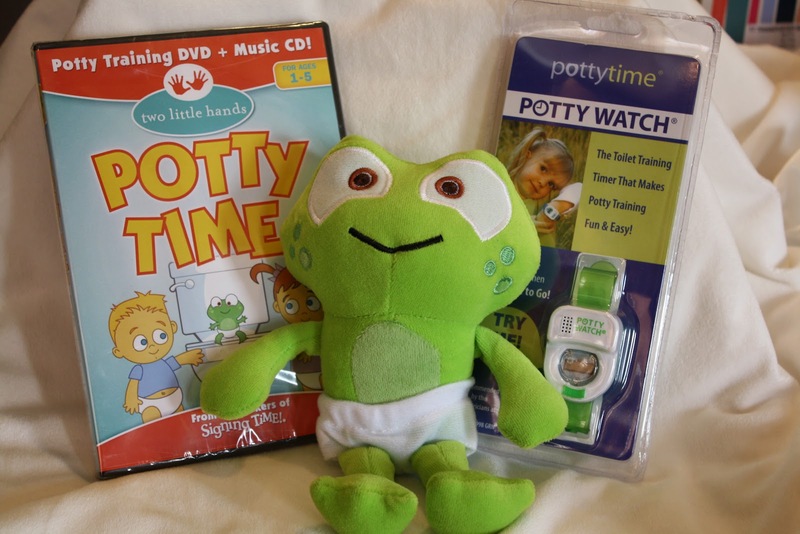 You will receive an identical package to the one we reviewed: Potty Time DVD, Music CD, Reminder Watch and stuffed Hopkins! There are multiple ways to enter below. This giveaway will be open until 11:59pm EST on Saturday, October 6th. While waiting to see if you are the winner, I highly encourage you to browse the Signing Time as they have a lot of really great products available for all ages! Thanks to everyone who entered our first giveaway! I just used random.org to choose the winner: Entry #24, Erica Bruno! Erica, please check your inbox for an e-mail from me for more information, so I can get your prize shipped! Thanks again to everyone that visited and entered! I look forward to posting many more giveaways very soon! Also, if you didn't win, keep in mind that the coupon code: savy15 is valid through September 30, 2012 for 15% of any order on the AllyZabba website!